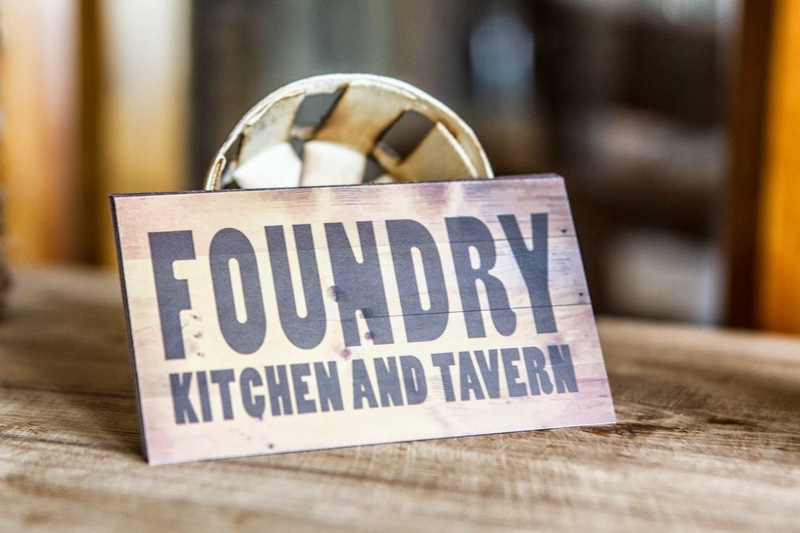 A beautiful old building with a great view paired with a warm, inviting, festive vibe and good food - that's how we'd describe Foundry Kitchen and Tavern in Sandy Hook. Even before we were official "food bloggers" we were making friends in the food world, having worked years ago with Owner/Chef Chris Bruno back when he owned a restaurant in Brookfield. We can't believe it took us so long to pay him a visit at his new venture. They have been open a year already. Better late than never. To be honest we weren't even planning to write about our dinner - just go and enjoy like normal people. Once we got there however we couldn't resist taking a few notes to share with you all. So, first let's talk about the place. It's located in a historic, 150 year old two-story brick building in Sandy Hook. A good portion of the building has been restored with wood floors, exposed brick, and hemlock paneling which all date back to the mid 1800’s. With a nod to these original design elements, the Foundry team (yes, they themselves) built tables from used pallets and wine boxes. In the tavern, huge windows face the street and around back is a patio overlooking the Pootatuck River. Now, for a bit about their philosophy. They don't label themselves "farm to table" but in the warmer months nearly all the produce they use is sourced from CT, MA and NY. In the colder months, ingredients will come from farther away places, but always from reputable growers. For meats, the beef, pork and chicken is hormone and antibiotic free. And, none of their food is processed; it's made on site. For Chef Bruno, it's not about putting a label on what they do, it's about using the freshest, most wholesome ingredients from reputable growers. The place was already hopping when we got there at 6:30pm. Of course, we started out with cocktails. 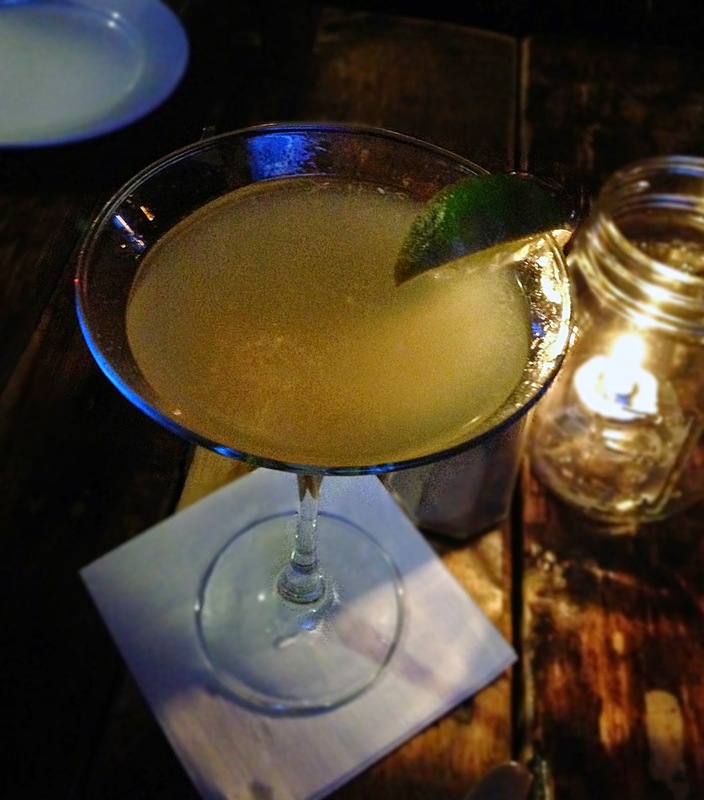 I went with the Elderflower Martini, made with St. Germain liqueur, vodka, freshly squeezed lime juice and a splash of pineapple juice. Renato had a Spicy Martini made with a hint of sriracha. 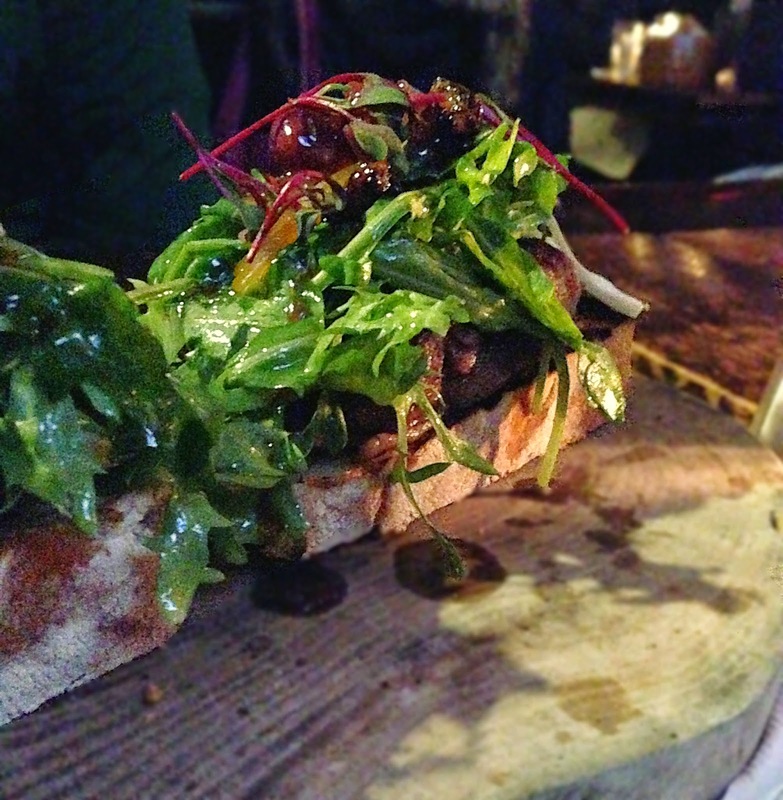 For an appetizer we shared an order of Pork Cheek Crostini with pickled butternut squash, pistachios, brandied grapes, arugula and frisee. Yes, it was as good as it sounds. For our meals we both went with items on the specials menu. 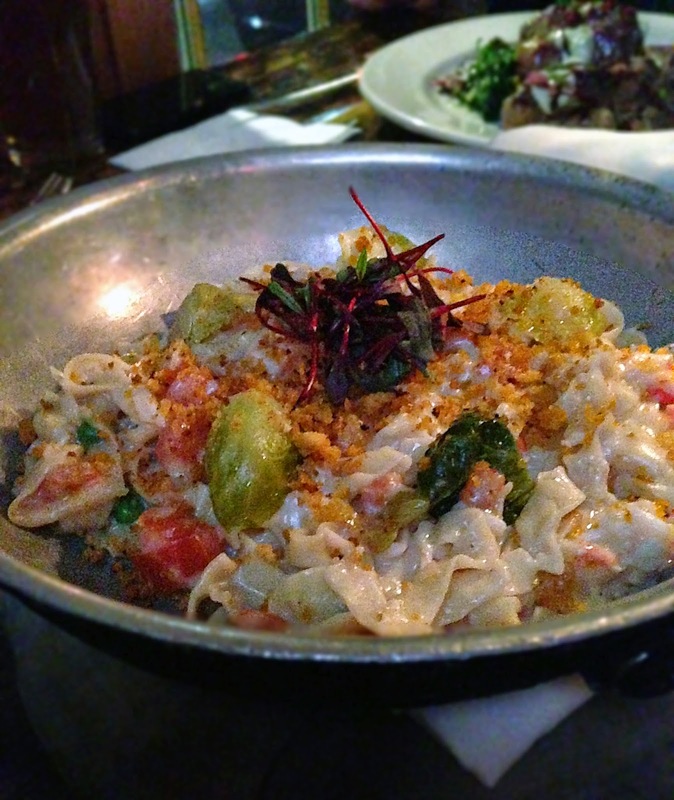 I had a pasta dish with fresh King crab and homemade linguine in a creamy sauce topped with panko breadcrumbs and Brussels sprout leaves. I don't usually go for pastas in any kind of creamy sauce. I usually find them too rich and heavy. This sauce, however, was made with creme fraiche. It was light and tangy. The crab was so fresh and succulent. I loved the added crunch from the panko. 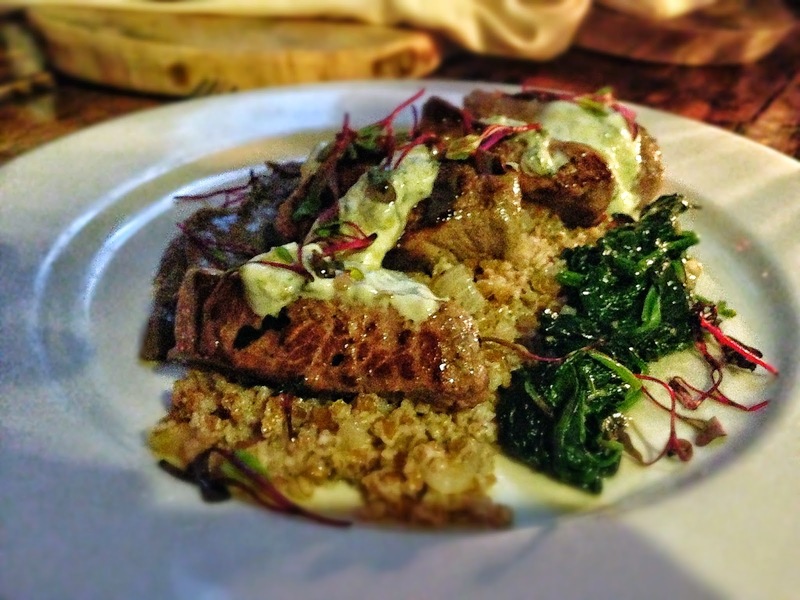 Renato ordered a special featuring spiced lamb topped with yogurt on a bed of grains. 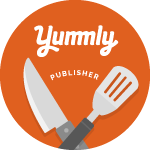 He said the meat was tender and the tangy yogurt really drew out the middle eastern flair. 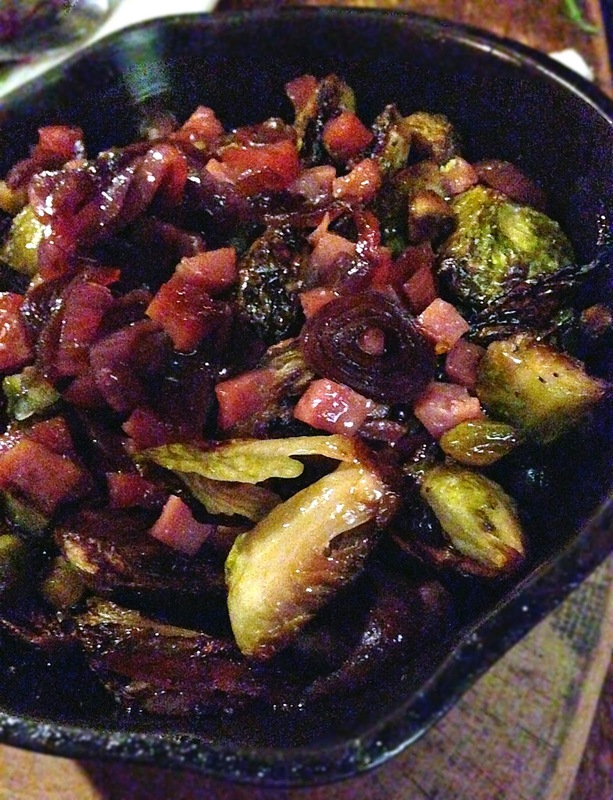 Plus, we decided to share a side of Brussels sprouts with maple and small pieces of mortadella. It was the perfect combination of sweet and salty. Using mortadella instead of the typical pancetta or bacon was unexpectedly delicious. We will definitely be back and plan to check out the killer patio for brunch now that it seems the weather has finally made an appearance. They serve lunch and dinner, plus brunch on Sunday. They have live music at least 2 nights a week and host special events like beer and wine dinners.